As a SharePoint architect I have the business behind me and the Developers and IT Pro on my shoulders. This is very useful when you want to test your outgoing email for SharePoint but not have access to an SMTP server. Create and setup a Gmail account to use POP3. You can specify only the servers that you want to be able to send email here by selecting Only the list below and adding your servers IP addresses. Sorry, but what do you mean in #2. by install the mail server roles? 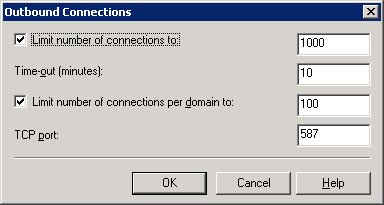 To install the Mail Server Role under Windows 2003 use the “Configure Your Server Wizard” application. I have been finding it for a long time. and i need one support also. can u tell me how to configure our server to receive gmail mails in our pop3 server. i need it for my sharepoint learning. This post is on how to configure IIS to send emails using Gmail. If you want that SharePoint lists to receive emails then you will need to setup incoming email in SharePoint and drop all the emails in the dropfolder on the Web Fron End. I have one server(Petronilas) with WSS 3.0 and i configured the outgoing email and well with this section i configired SMTP but the problem is when i want to send alerts stak in Intepub/mailroot/Queue can yopu help me please. The email messages get stuck into the queue when the SMTP server is not capable of forwarding the email. I would check if you can send emails from the server through the firewall. There are few ways to test if you can send emails from the server. However I have build an SMTP Client that will help you debug the issue. The log tab will contain the detailed errors if the sending of email fails. I was wondering, is it possible to receive emails as well with the IIS SMTP Server? I ned to receive emails and pipe them to a php script on a windows box. by d way i need more information on receiving the gmail mails to my sharepoint lists. IIS SMTP server can receive emails however not gmail emails dirrectly. For sharepoint to receive emails you will need to configure SMTP to drop the received emails into a folder then configure SharePoint to process the emails from that folder. Your IIS SMTP server needs to be available from internet and your gmail account have to be configured to forward incoming emails to your SMTP server. Create a windows service application that reads emails from any email server as a client and drops the messages into a folder based on your preferences. You will need to replace the “to” address on the messages as SharePoint will use that for routing to the correct document library. You starting point might be to look into the freePOPs project. Configure SharePoint to read emails from that folder. but how to configure smtp to receive gmail mails. i have installed one smtp server on my machine. i have configured my gmail account to send mail on that server. Now the next step is to open your SMTP server to receive emails from Internet. You will need to get a public DNS address and then open and forward the SMTP port (TCP 25) to your SMTP server. make sure that you create an alias on the IIS SMTP server to match the DNS address and drop the emails in the same folder that SharePoint is looking for. After that you will need to configure Gmail to forward the emails to a fictive account on that IIS SMTP server. You can use Gmail forwarding filters to specify multiple accounts. SharePoint libraries would need to be configured to receive emails from those fictive accounts. sorry but let me tell u one thing i m new in sharepoint and also in server administration. please can u send me some links or details for :get a public DNS address and then open and forward the SMTP port (TCP 25) to your SMTP server. make sure that you create an alias on the IIS SMTP server to match the DNS address and drop the emails in the same folder that SharePoint is looking for. i can create alias only. but i dont know anything about public DNS address. and open and forward the port to smtp server. thanks fr showing the right path. what setting should i mention there? If you get into any issue please describe it so I can try to help you. I followed this and its working file with my GMAIL ID. But its doesn’t works with my corporate ID which was maintained by GOOGLE. We are using the same SMTP and POP port to access our mail using outlook. But, If i entered my corporate ID to authenticate with google, i didn’t get any mail. If i use my own gmail ID, i got mail. Where did i miss the setting. Please reply……..
As you can see I am not working for Goole and the corporate version of google is a paid version so you should be able to get support. However if you still want me to help, please create an account for me as fmuntean@yourdomain and use the “contact me” to send me the information, as I don’t use Google Apps Email. I need more data for completing step 2,i don´t know how to configure it.Wich authentification method??? wich domain i have to write? ?please help me!! I just found this blog post and I must say that I found it very helpful. I was able to get my home SharePoint server to Relay outbound alerts to my teamsite members. Thank you! 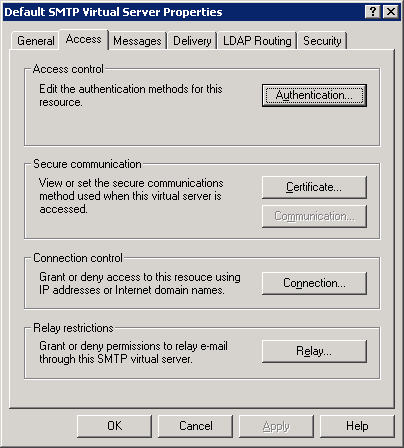 Great article … Still got a question: how can i setup a virtual smtp server for windows xp, IIS 5.1? I followed steps 1 and 3 (you’ve lost me at 2), but still when i open a telnet connection on the newly created domain, it asks me for an user name and password (altough I’ve given those when I’ve configured outbound security). I give the user and password i use for my gmail account but i cannot login and continue with the telnet. Any advice on how can I manage to send (only to SEND) an email from my local PC would be highly appreciated. I have followed you step but it not working for how to check in sharepoint whether my mail is getting fired or not. What I found is that from time to time I need to connect to gmail from the same computer using the web as they fail to authenticate me requiring a captcha text to login. I think that they are looking into blocking this type of setup. For now I can live with this issue. Windows 2008 can be use as a server for sure. Hello, thanks for the article. I was however looking to do something slightly different. I was looking for a way to be notified when an email arrives into my inbox. I found that with a unix/php/sendmail server, I can forward the email to a php script to be processed (http://hostmonsterforum.com/archive/index.php/t-436.html). Is there a way to do that with IIS? there is a register form on my website, it has a function to send confirmation email to user. & i am using Google apps service, as mail.domain.com, which port should i use for sending mail from my website ? Hi I am a beginner How I can set a windows server with multiples emails. I read something to get a public DNS, can I use att as it, please explain a little bit more. can it possible to redirect mail coming to my gmail account to another website which i m develoing now;means whether it possible to read my emails from my website without going through gmail account if possible please notify me but the condition is still i have not purchased domain name i want to make that as an desctop application…. First of all thanks for this post it helped me when I moved my mail from my own server to gmail. I know it’s an old post but I’m suddenly having problem with the smtp.gmail.com on my IIS XP server after about 8 months of flawless operations using gmail as my smtp service. Yesterday at 16:36 all outgoing mail from my webpage stopped from the server until I changed the service from smtp.gmail.com on port 587 to a local service. But now I’m not using smtp service at gmail anymore! Has anyone else had this problem? Could it be that gmail is blocking me because of spam suspicion? Found myself that once in a while it stops working. However there is a quick fix for this by using the IE to connect to the email on that computer and Google will ask you for some kind of account validation during the login using captcha. I’m having the same problems as Matti as of April 30. 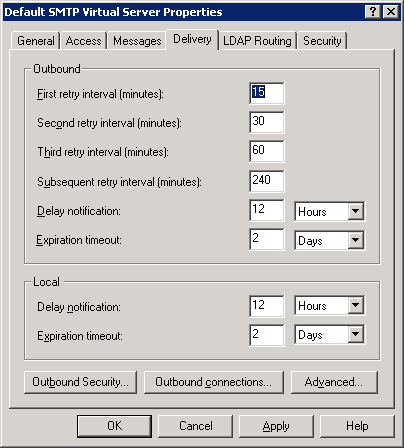 Running XP IIS and it has stopped relaying. Event viewer shows event ID 4001, and says “The remote SMTP service rejected AUTH negotiation.” It still works from a Windows 2003 Server though, so I wouldn’t think Google did this to combat spam. They must have made some internal change that inadvertently affected IIS 5.1. And why is it acceptable to expose the organization to a megalithic data-mining entity? 2. Drill down to the SMTP Server and right-click for the Properties. 4. On the Access tab – Connection button, select ‘All except the list below’ and leave the list blank. 6. On the Delivery tab – Outbound Security button, select ‘Basic Authentication’ and include the username and password of company’s mail /or GMail account. 7. On the Delivery tab – Outbound Security button, tick the TLS option. 8. On the Delivery tab – Advanced button, set the ‘Smart host’ to “mail.company.com”/or “smtp.gmail.com”. 9. From IIS7, In SMTP Mail I entered the company’s email address. 10. I configured the sharepoint Outgoing mail from central administration. 12.Restart IIS.. and then I tested again but no mails sent from sharepoint. I used the “SMTP Test Tool” and tested my company’s mail, it send mails successfully. but can’t send using Gmail’s account. Also I installed a sharepoint feature that send mails(using System.Net.Mail), it doesn’t throw exceptions but it also doesn’t send mails. Any help or advice would be highly appreciated! For SharePoint to be able to send emails out you will have to configure Outgoing email in Central Admin site. You can point to the local SMTP server then forward them to either your corporate SMTP/Exchange server or to GMAIL using the info in this post. The SMTP Test Tool will tell you if the SMTP server is configured correctly to forward the emails. For that in the tool you will have to select what SMTP server to connect to and specify the server that is configured to forward the emails. You can test the SharePoint configuration by pointing the Outgoing Email to an SMTP server that drops all the emails in a folder locally. If you purchase a domain name then you can add an MX record wich will point to your public IP (of your firewall I hope) then you can forward port TCP 25 (SMTP protocol) to your internal STMP/POP3/Exchange server to handle the emails. It’s Work… Thanks very much!! #160005: Bad response from SMTP host’smtp.gmail.com’: 530 5.7.0 Must issue a STARTTLS command first. f14sm5472187wbe.8 . Googling this doesnt’ give me much excetp what it obviously says, but except the port and the TLS Encruption I don’t see where to place those settings in addition. PS : well done for keeping this thread updated after almost 2 years! I have tested and it still works. 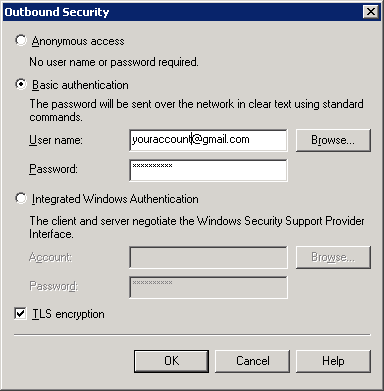 Please check the “Outbound Security” and make sure you have “TLS encryption” checkbox checked and that you are using basic authentication. PS: You can contact me using “contact me” on my blog with screen shoots and detailed info on how you tried to configure it. Just notice that it may have been because the “require TLS encryption” box was greyed out as in –> http://forums.iis.net/t/1155280.aspx so I created certif and now can tick the box but still not working. Once I made a change restarting SMTP and IIS is enough right ? Brilliant post. Helped me to configure the outgoing settings correctly. Thank you. That checkbox is actually used for the connection to your local SMTP server. 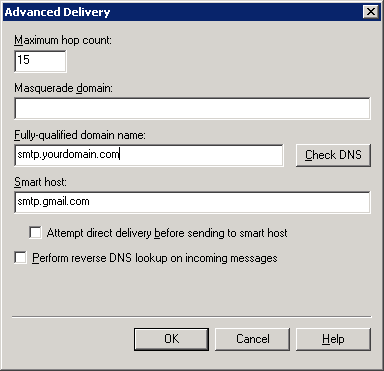 SharePoint requires that your local SMTP would accept anonymous connections so the only way to have some security on the incoming connection is to setup the allowed IP addreses that connects to your SMTP server. You helped me a lot. Thank you very much. Excellent read, I just passed this onto a colleague who was doing a little research on that. And he actually bought me lunch because I found it for him smile So let me rephrase that: And the last i wanted to say you to have a Merry Christmas. Let all your wishes make come true for you and your family and lets hope the next year be prosperous for all us. Hello!, Pretty interest angle, we had been talking in regards to the same issue at work and discovered your website incredibly stimulating. So felt compelled to com?ment just a little thank you for all of your energy. Please maintain up the excellent perform your performing! I followed each and every step, but it wont work for me. Hi, for me I have another issue. I want to send my emails to another server in my lan network. The other server is using lotus, I try to put configuration according to this but Whatever I try it’s not working. I’m using Windows server 2008 have you ever done that, is it possible to send email using a lotus account. Thank you. Man… thanks a lot… this pots was everything i need … I was lokking for this since a week at least… honesty this is everything i needed! THANKS THANKS THANKS THANKS ! I will reproduce it in spanish with your name of course. Uhgo. It should be possible to send emails to lotus notes accounts. You have to configure SMTP on Lotus Notes side to accept anonymous connections on the standard port or use an SMTP bridge in between. Contact me if you want to proceed further. The email functionality in SharePoint is not based on Exchange specifics. It uses SMTP protocols. 1. For outgoing email the receiving SMTP server has to accept anonymous access and use the default port. 2. For incomming email SharePoint expects to get the eml files (emails) into a local folder. For your approach as long you use a different web application for each client you should be able to achieve this. Sending emails is easier than receiving. You just connect out to SMTP server from your ISP like I described in this blog post replacing specifics from Google to your provider. if you still need help please contact me. I very easy followed each and every step, but it wont work for me. Please use the contact me link and send me as much information as you can about your issue. Saying is not working is not enough info for me to help you. OK what I need to do is to be able to store multiple g-mail accounts on one server. we have 20+ employees I have 2 windows server 2003 running and would like all our company mail to be stored on our in house servers we use g-mail now so that we have access to their apps but would really like all our incoming email to be stored here so that we can filter them better and have a more stable back up of important emails. I also have an OS-x mac server installed but not setup in the domain if that would be easier I would be happy to set it up and use it. thank you in advance for your quick response on this issue. I just like the valuable information you supply on your articles. I’ll bookmark your blog and check once more right here regularly. I am relatively sure I’ll be informed lots of new stuff right here! Best of luck for the next! Hey…. Really one stop quick help guide…. really helpful.. But in my scenario I am doing for Google Apps Which requires TLS Certificate (In my case it is disabled…)any idea how to solve it ???? I am trying to send email using dotnet, in which web.config file consists of username, password, port, smtp.gmail.com etc. After following the above steps, i am still not able to send an email. They’re very convincing and will certainly work. Still, the posts are too quick for beginners. May just you please lengthen them a bit from subsequent time? Thanks for the post. Firstly, this is first rate. I ran across this a couple of days ago and would like to see your SMTP diagnostic app mentioned in response 8. I know it was a long time ago and I couldn’t obtain the app from the link. I will appreciate if you can provide it for me. Thanks. Used this to setup SMTP on server 2008 with Google Apps today. Very helpful. Have been searching for this for 6 months. Finally have voicemail to email with Shoretel! Thanks for one’s marvelous posting! I actually enjoyed reading it, you will be a great author. I will make certain to bookmark your blog and will eventually come back at some point. I want to encourage you to definitely continue your great writing, have a nice afternoon! I m facing one issue, i’ve configured iis 6.0 smtp relay with gmail as u described and in the gmail account setting added another domain account and kept it as default sender with the smtp of that domain, now when i am sending mail through iis smtp it passes through gmail smtp and again for final destination it sends from different domain id of gmail, finally when it reaches to any outlook it shows on behalf of the mail id. I want to remove this on behalf of and should reflect only that other domain email id on final destination. Great tutorial – I have used it a couple of times.